Google Drive is a free file storage and synchronization service which users can store, sync, share and access files across multiple devices. 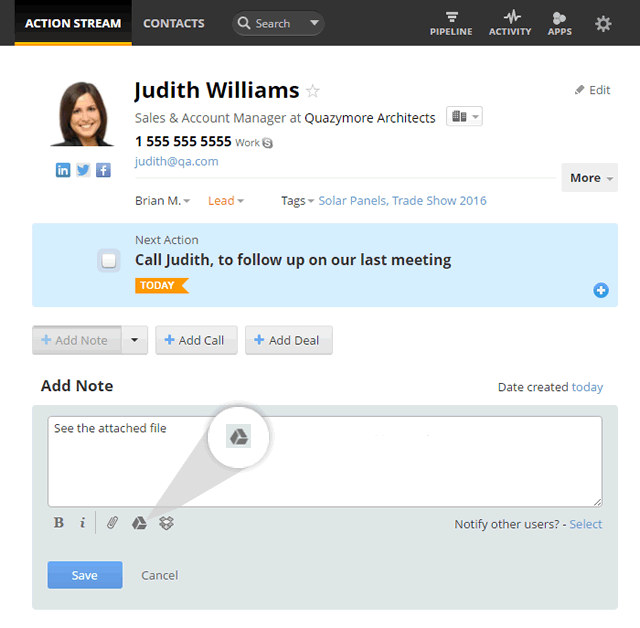 This pre-installed integration allows you to link files to notes and deals and have instant access to the most recent file version. 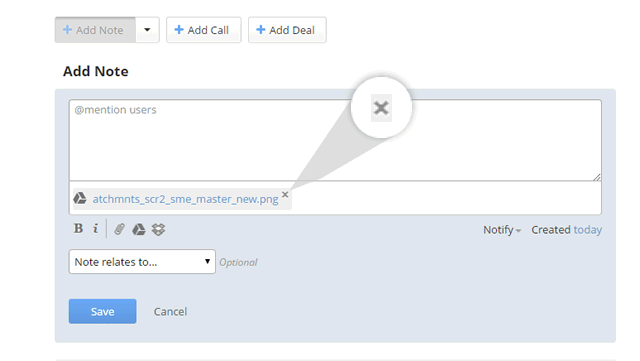 Click on the Add Note, Add Call or Add Deal button and complete Note/Deal required fields. 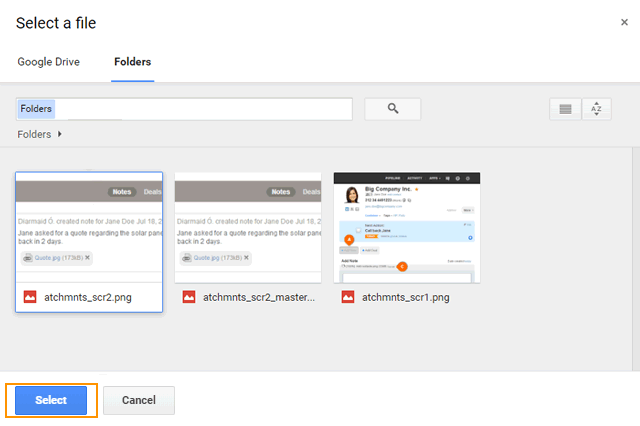 Attach your file by clicking on the Google Drive icon. 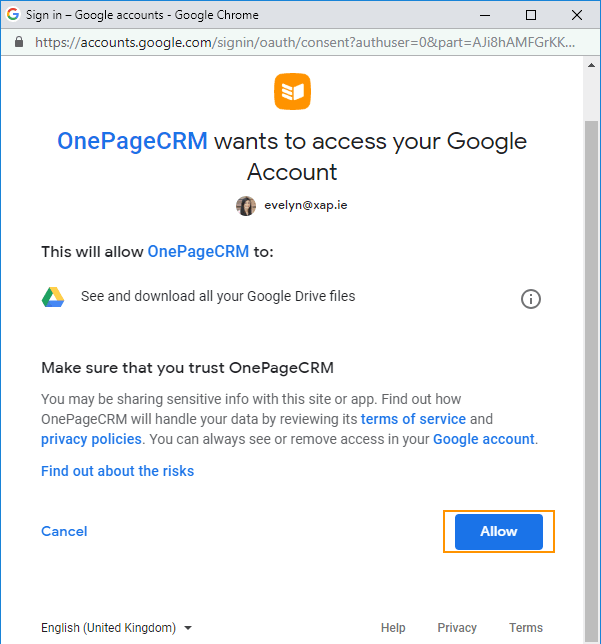 In the Select a file pop up, sign in to your Google Drive account if you are not already logged in and allow OnePageCRM access to your Google Account. 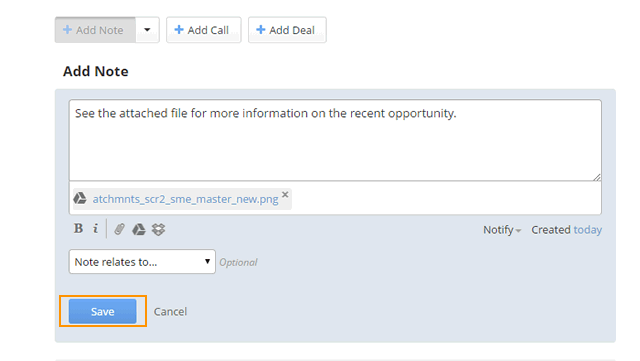 Select the file or multiple files you wish to attach → click Select. Click Save to attach the file to your note. In the Add Note box, click on the 'X' icon to the right of the attached file. 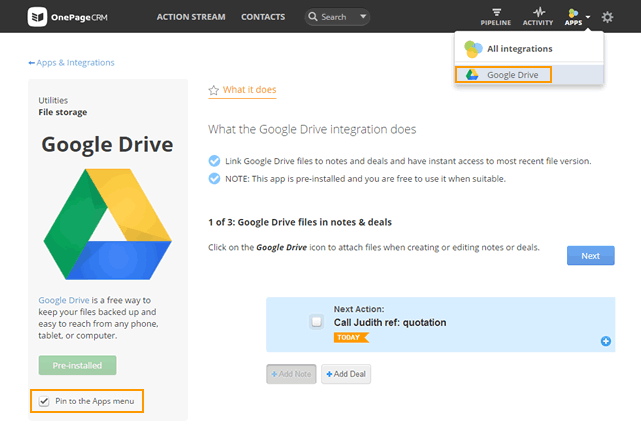 To pin the Google Drive integration to Apps menu, select the check-box: Pin to the Apps menu.